Selfies are really trending, usually flattering and made to appear casual. ‘Selfie’ is a self-portrait photograph, typically taken with a hand-held digital camera or camera phone. Last year BBC published an article about Selfies, says The internet is bursting with these iterations of me, me, me – more than 53 million pictures have been tagged #selfie on the photo-sharing site Instagram. Social Networking users gives much importance to Selfies and they would love to share their selfie images on the sites like Facebook, Twitter, Google+, Instagram etc. Today we are listing the best Android selfie camera apps of 2014 that could help you to take Selfies even better. 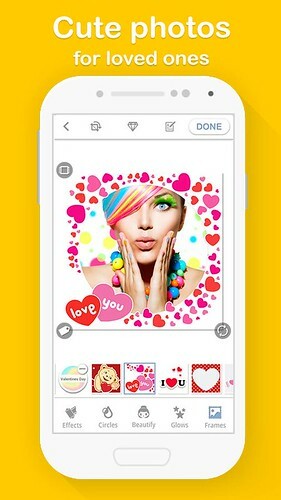 BrighCam is one of the most loved selfie camera app on Android Play Store. BrightCam comes with a range of beautification filters and effects for improving the overall look of your selfies. With BrightCam you can create and share you attractive selfie on Facebook, Instagram etc. 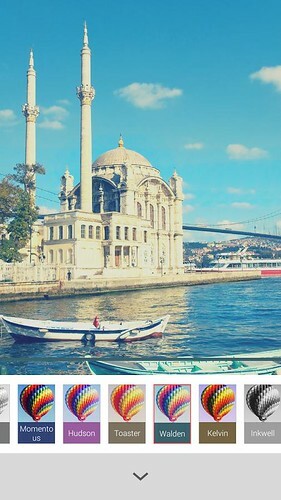 BrightCam provides extra photo editor tools for Instagram that helps instasize no crop for uploading entire photos on Instagram without cropping. 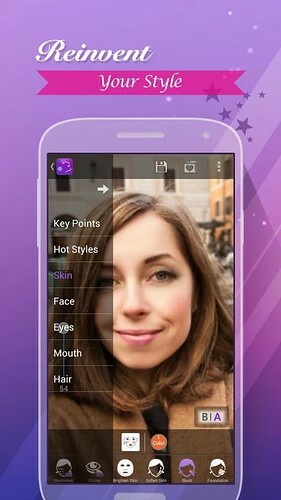 YouCam perfect is our favorite Android camera app to take stunning selfie pictures. 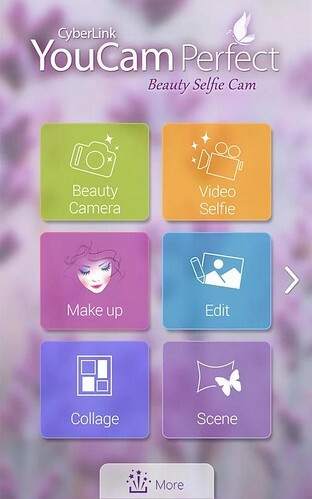 One of the notable features of the app is its automatic trim, which help you to take pictures with just one tap, with a choice of six different levels of naturalness. Face Reshaper gives you the facial shape you’ve always wanted. 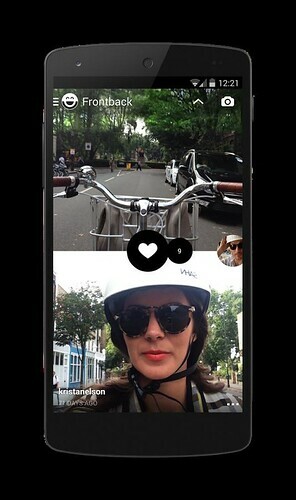 FrontBack is another popular Android app for taking selfies. One of the advantage of of FrontBack app is you can take a photo with the front camera, another with the back camera, and share them both in a single image. Retrica is a perfect app for taking selfies that provides everything a user needs to. More than 100 million photos are taken per day with Retrica by their millions of Retrica users. There are more than 100 of filters available on Retrica app that makes the app most favorite for selfie lovers. You have the option to add Retrica’s watermark logo on images that takes with the app. Selfies are much more fun with the LINE camera. Line Camera app is created by Line corporation the free call and messages app. With Line camera app you can easily take gorgeous selfies and share popular social networks like Facebook, Google+, Twitter, Instagram etc. LINE camera has received a total of 500,000 reviews and No. 1 in Google Play’s Photography category in 19 countries. Perfect365 is a popular selfie camera app featured on popular sites like ABC News, The New York Times.Perfect365 is a highly recommended selfie app for ladies, it can remove skin imperfections, apply make-up.